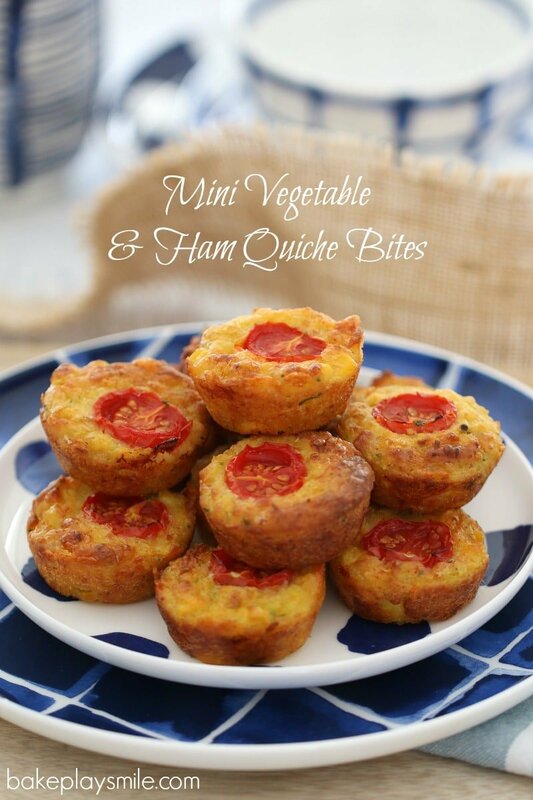 These Mini Vegetable & Ham Quiche Bites are the perfect healthy snack for your little one (or yourself!). 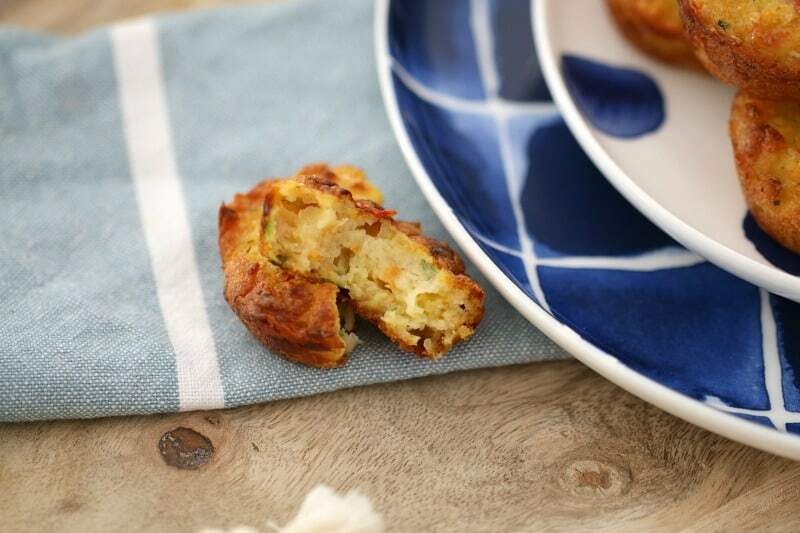 They’re bite-sized, full of vegetables and yummy! The hardest part of writing a post for a new recipe isn’t editing the photos (although that is totally b-o-r-i-n-g!!! ), and it’s certainly not taste-testing (that’s the BEST part!). Nope, the hardest part is choosing a title for the recipes. Sometimes it’s easy-peasy… like when you make a chocolate cake. Umm… hello! But sometimes you make something and it’s really hard to describe – and then it’s really, really hard to choose a title. Damn hard I tell you! 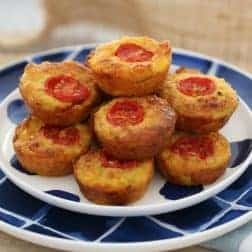 And these Mini Vegetable & Ham Quiche Bites are the perfect example. 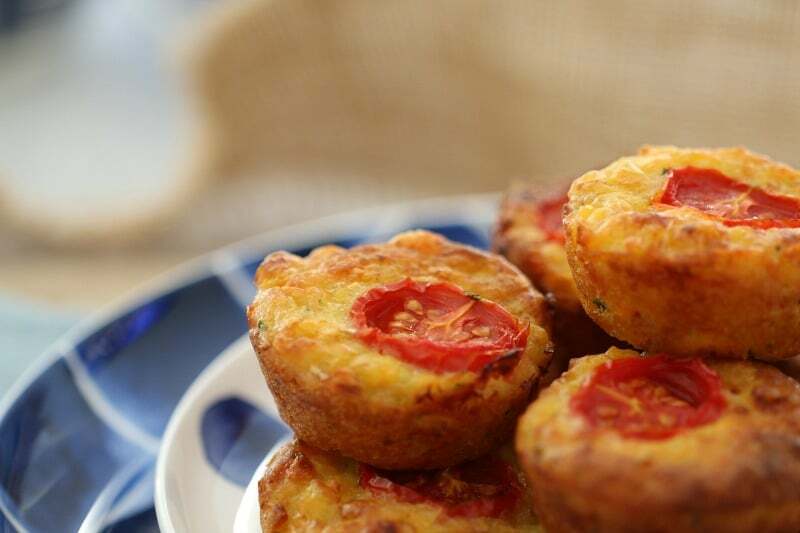 They’re kind of like a quiche, but also kind of like a muffin. And they’re teeny tiny, bite-sized mouthfuls of yum. I tossed up for ages naming these babies. If I called them mini muffins, I knew I’d get a bazillion people saying that they were really moist and didn’t cook properly. But if I called them quiches, then everyone would wonder why they tasted a bit muffin-like. See! Dilemmas, I tell you! Anyway, I finally settled on Mini Vegetable & Ham Quiche Bites. I know, I know… there’s no mention of muffins in there, but what can a girl do? There’s only so many words I can put in a title before everyone falls asleep from boredom. 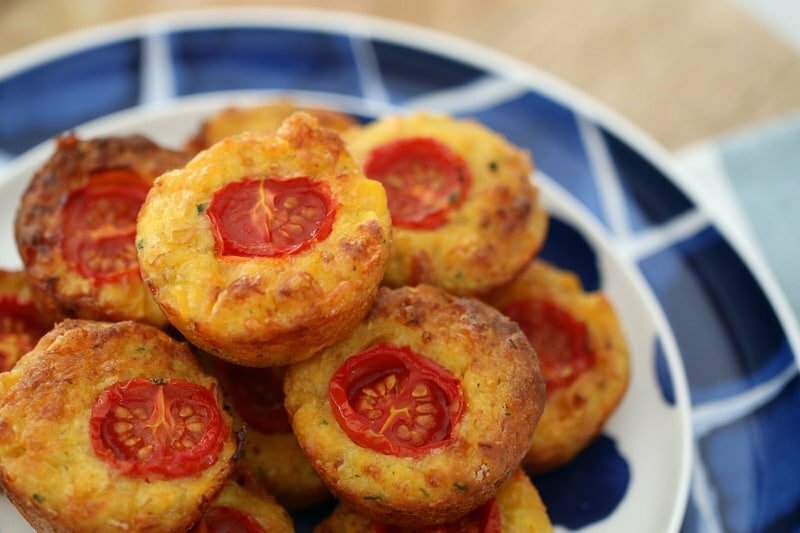 The point of all my blabbering (I promise I have one), is that when you make these yummy little bites, just know that they’re like the love child of a quiche and a muffin. But a teeny, weeny, bite-sized love child. I love that these bites have zucchini, carrot, corn and cherry tomatoes in them. That’s a whole lot of yumminess. Plus, because the zucchini and carrot are grated, no-one will have the slightest clue that you’ve gone into veggie-smuggling overdrive. It’s our little secret. Oh and did I mention that these are also freezable. Yep, that’s super handy! 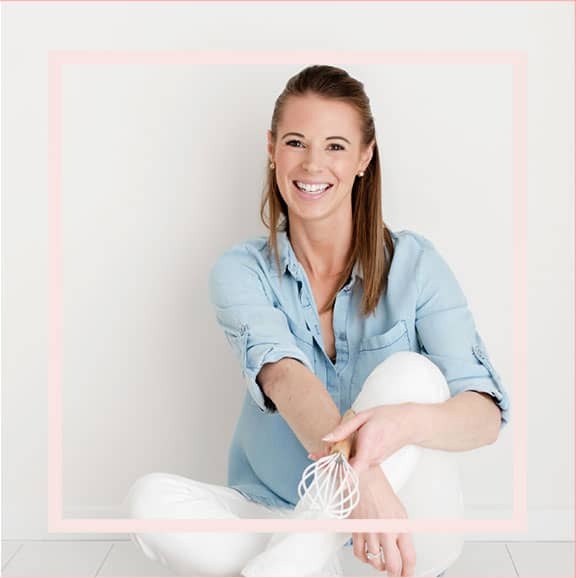 Just cook them, pop them into an airtight container or a sealable plastic bag and pop them into the freezer until you need them. Easy lunch on the run = perfect! These were a hit with my little Will. I just mashed one up with a fork, mixed in a bit of his formula milk to make it into a chunky puree and he loved it! 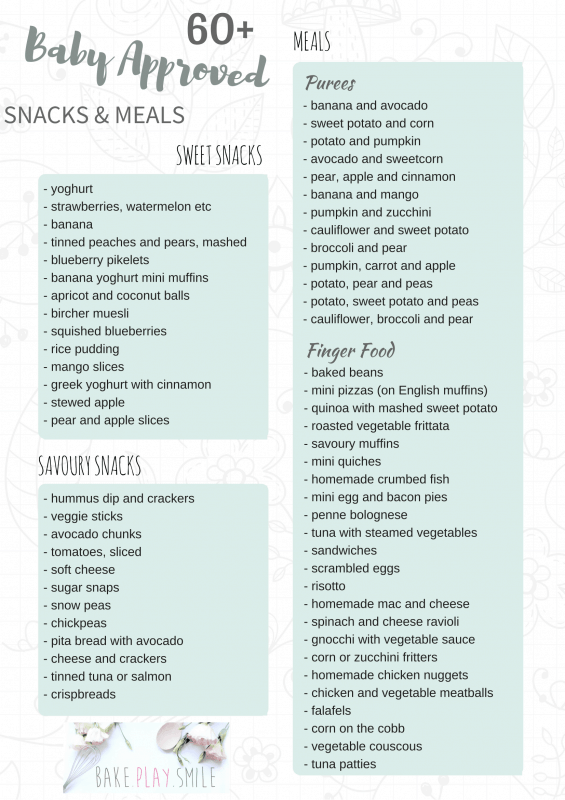 For more baby and toddler friendly recipes, check out this food collection and free printable! Grease 2 X 36-hole mini-muffin tins and set aside. Whisk the eggs, vegetable oil and milk together in a large bowl. Grate the carrot and zucchini and place into a sieve. Squeeze out all of the liquid and then place into the same bowl as the egg mixture. Add the grated cheese, the finely chopped ham and the corn kernels and mix well to combine. Sift the plain flour and baking powder into the bowl and fold through to combine. Divide the mixture between the cases (filling 3/4 of the way to the top). 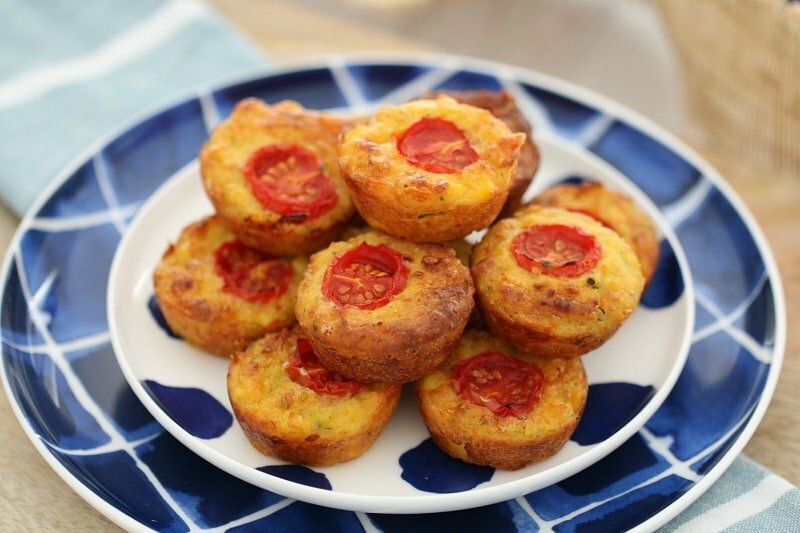 Place half a cherry tomato onto the top of each mini-muffin. Bake in the oven for 20-25 minutes or until golden on top and cooked through (please note that these muffins are moist because of the vegetables, so they will remain so when cooked). Please note that these muffins will remain moist when cooked - this is due to the vegetables and is totally fine! Make sure you squeeze out all of the liquid from the vegetables to reduce the moisture in the muffins. 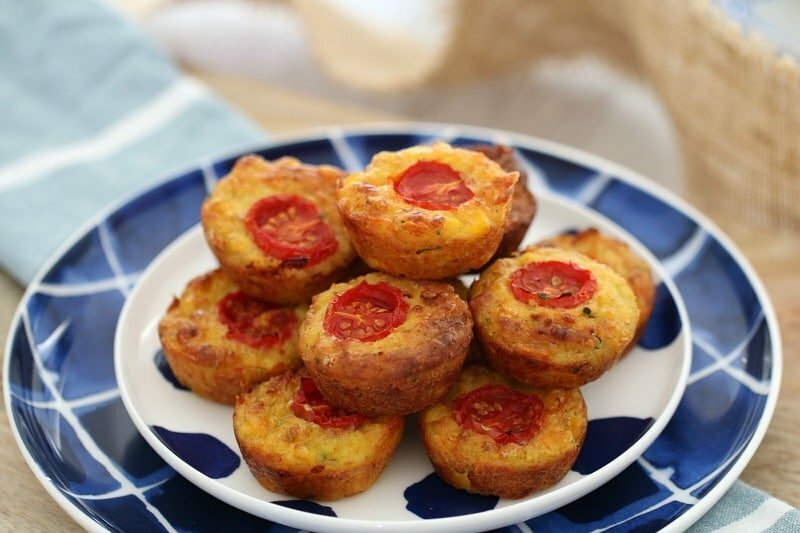 These mini-muffins are the perfect lunchbox snack! Place the plain flour and baking powder into the TM bowl. Press Turbo 5-10 times to sift. Set aside in a separate bowl. Place the carrot and zucchini into the TM bowl. Grate by pressing Turbo 5-10 times. Place the vegetables into a strainer and squeeze out all of the excess liquid. Set aside. Place the ham and cheese into the TM bowl and grate by pressing Turbo 5 times. Set the ham and cheese aside. Place the eggs, vegetable oil and milk into the TM bowl and whisk on Speed 6 for 10 seconds. Add the grated vegetables, ham, cheese and the corn kernels and mix on Reverse Speed 4 for 10 seconds. Add the sifted plain flour and baking powder and fold through with the spatula. 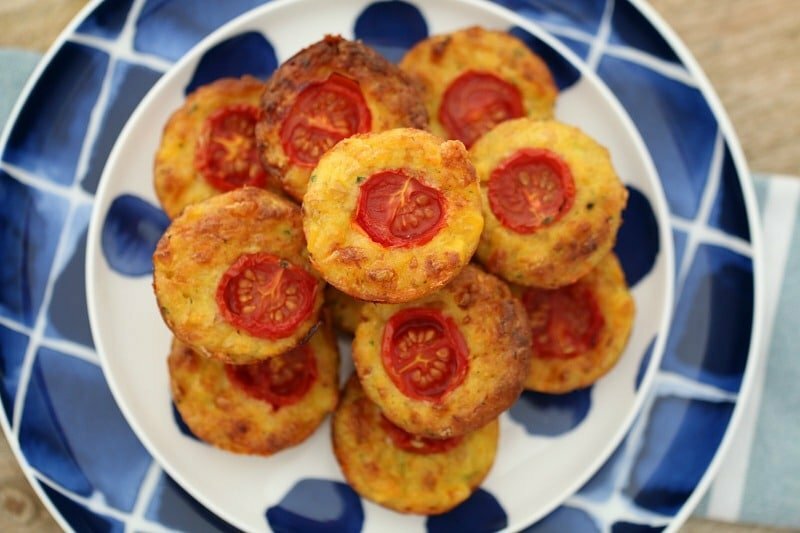 Top each mini-muffin with one half of a cherry tomato.